The picture appears two days after the company officially announced that they would be unveiling and launching the phones at a live streamed event on June 20. 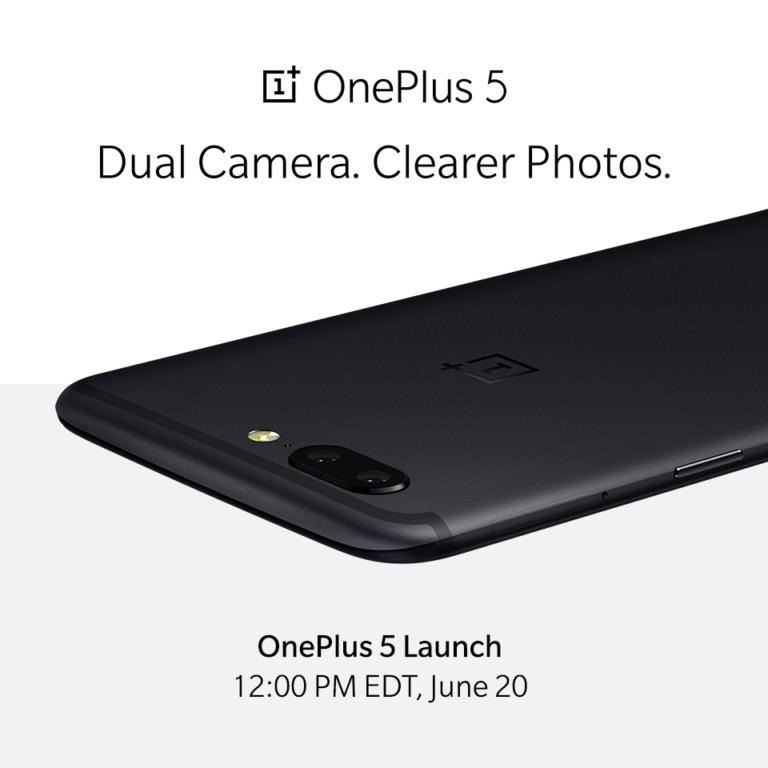 With it comes the confirmation of the horizontal dual camera aspect of the OnePlus 5 that had previously been rumored but not officially confirmed. The caption of the photo reads "Dual Camera. Clearer Photos." which had been seen previously on a leaked OnePlus retail box a few weeks ago. An official tweet from the company noted that the phone has been refined over three years. This image leaves nothing to the imagination when it comes to what the phone is going to look like. Sleek and thin, the phone seems to be similar in look to the iPhone 7 Plus, but with unique details such as a tapered top edge and an antenna band running from the side to the top. Now that we all know for sure what it looks like, their June 20 unveiling might be a bit underwhelming, but the company likely released the image in response to the number of leaks that have already been out there for a while. And despite knowing a lot about the phone already, there are still many details to be revealed at the full event later this month.